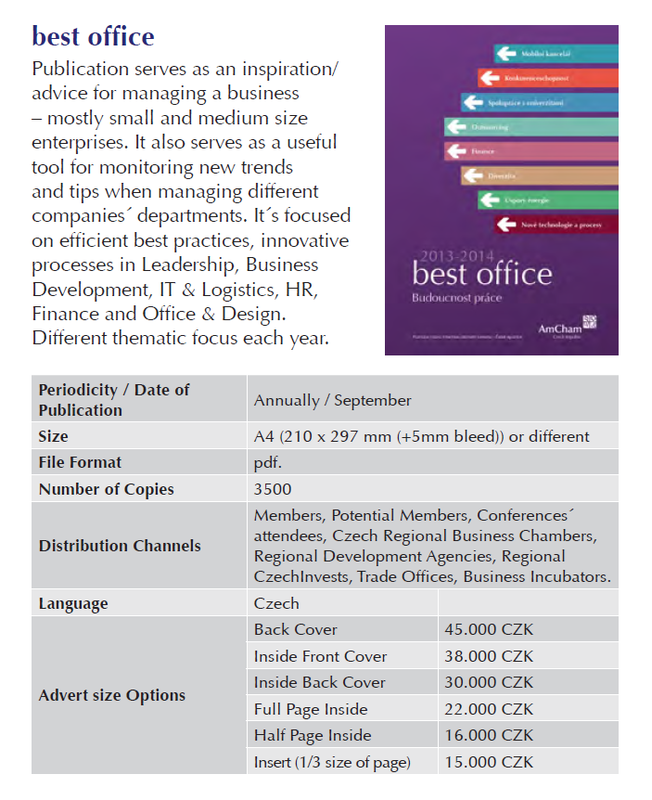 Our three major publications of this year are currently being prepared: Czech Republic Overview, Best Office and Year-end Report. 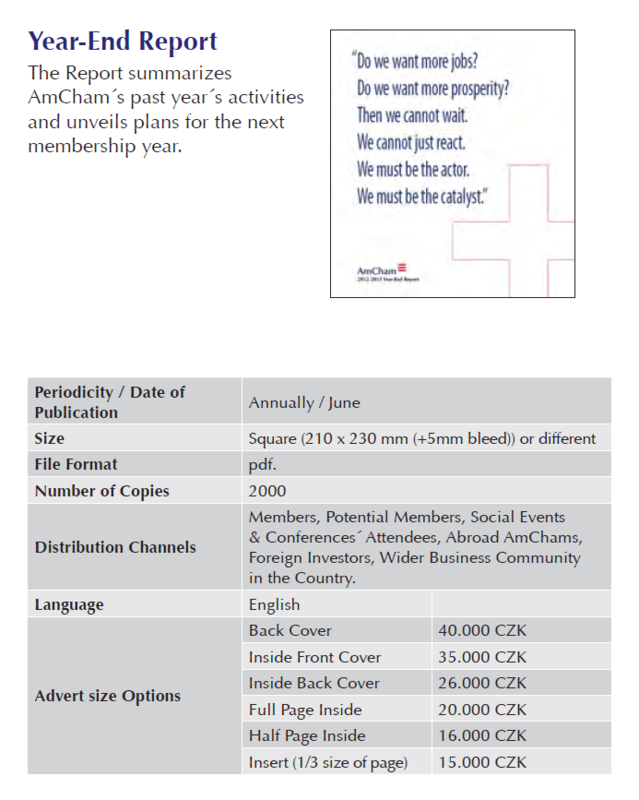 In all three publications members can advertise their products and services on limited number of publication pages. 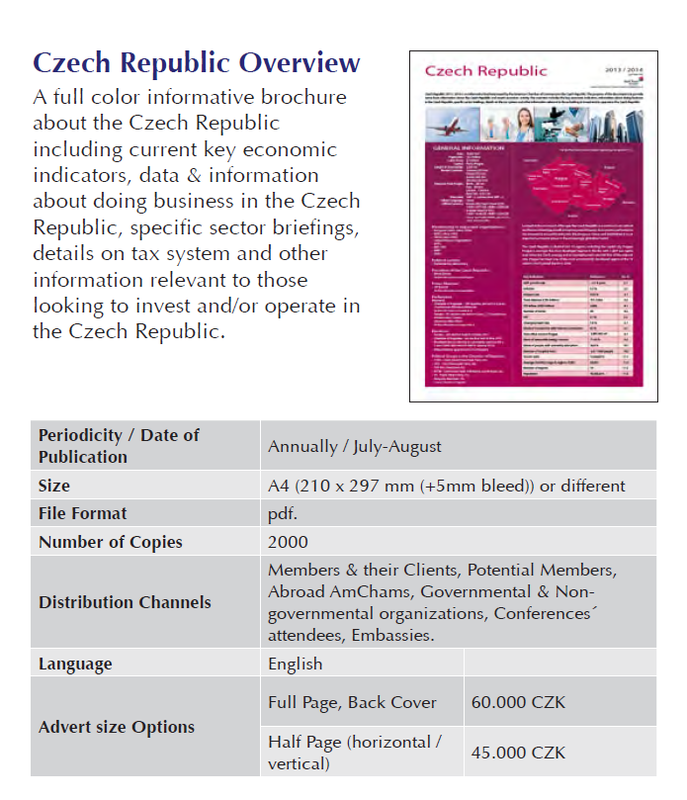 Companies interested to receive more information or to book the advertisement space can check the prices, distribution places and other specification further in the text or contact Lucie Vrbová at lvrbova@amcham.cz (733 685 318). To see more check the document including complete advertising opportunities.